Why is Gymnema good for you? Gymnema sylvestre is a woody shrub native to India, in particular the South and Central parts, as well as Africa and Australia. The plant has been mentioned in Ayurveda as “Destroyer of Sugar” (Madhunashini) and has been used since ages to treat diabetes. In Hindi, it is called “Gurmar” that has the same meaning. The leaves of gymnema have been used in herbal medicine to treat diabetes through its multi-mechanism of action attributes. Many people that have utilized gymnema are aware that it can interfere with the ability to taste sweetness. Perhaps its strongest activities are (a) through its up regulation of glucose uptake into the cells, which is accomplished through mobilization of glucose transporters (specifically GLUT-4) and (b) decrease in insulin resistance. Apart from its use in diabetes, gymnema is also used in weight loss, metabolic syndrome, stimulating digestion, snake bites, cough, malaria, lowering LDL (or bad) cholesterol, and so on. The most exciting effect of Gymnema is its ability to regulate blood sugar levels and thus is an excellent alternative or protective medicine for diabetics. The best thing is that Gymnema can also be taken by prediabetics to prevent further deterioration from pre-diabetes to the actual diabetic state. 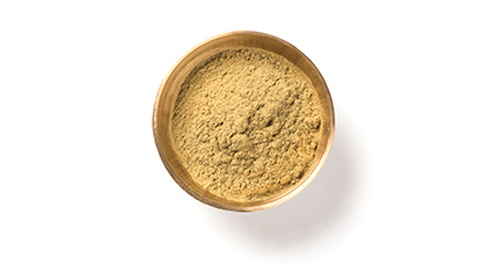 We use the natural plant to source leaves that are then processed using a highly controlled and standardized process to extract the bioactive compound called gymnemic acids.